Microsoft SQL Server Express 2014 is a free, edition of SQL Server this is ideal for learning and developing desktop, web and small server applications. 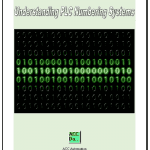 The database size can be 10 gigabytes in size. 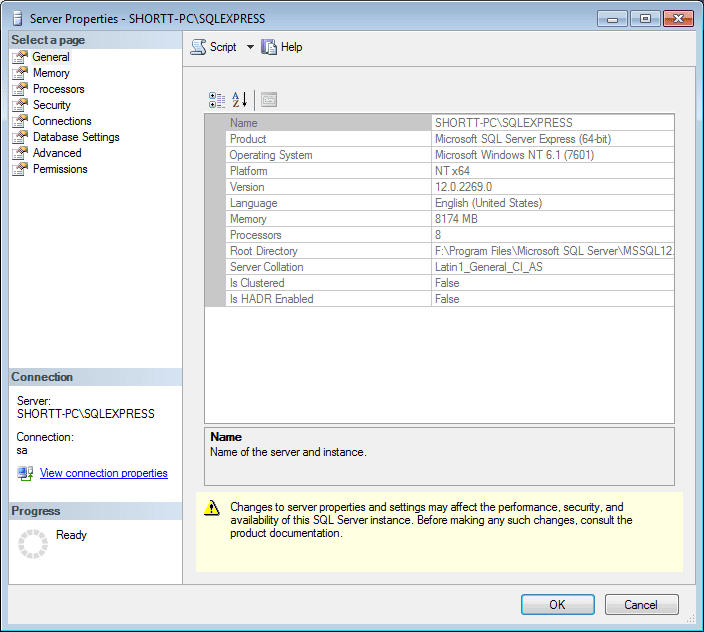 SQL Server Express 2014 release includes the full version of SQL Server 2014 Management Studio. We will be using SQL Server 2014 to share the database on a network. 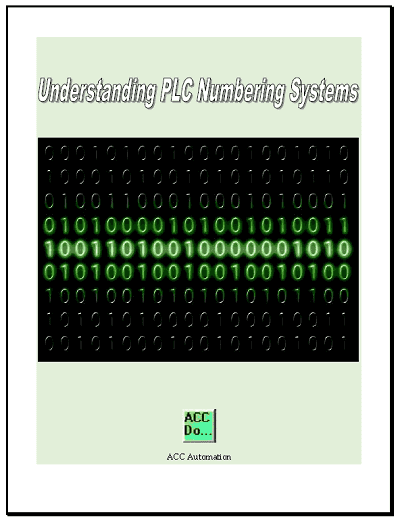 The SQL Server database is ideal for applications such as data acquisition (data logging) from our PLC applications. We need to configure the SQL Server database so other computers can access this on the LAN (Local Area Network). Enter your password to make the connection. The Server Properties window will now appear. Select the Connections page on the left hand side of the window. 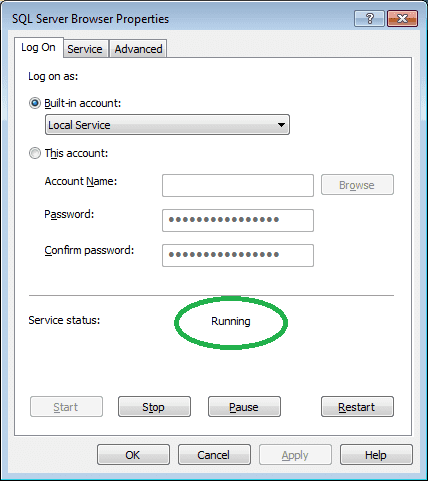 Under the connections sub window in the Server Properties page, ensure that the “Allow remote connections to this server” is selected. This is under the heading “Remote server connections”. We will now start the SQL server configuration manager. This is located under the following location on your windows start menu. 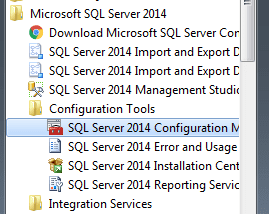 SQL Server Configuration Manager will have several selections on the left hand pane of the main window. Select SQL Server Services. We will need to start the service “SQL Server Browser”. This allows other computers to access the SQL Server through IP or Server name. Right click the SQL Server Browser and select properties. Select “Service” at the top of the SQL Server Browser Properties window. Change the Start Mode to Automatic so it will start with the program. Select Apply to change this setting. 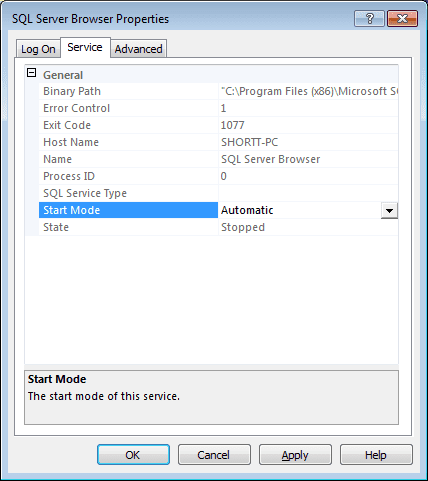 On the Log On tab at the top of the SQL Server Browser Properties window, select Start to start the service. Once the service has started we can now hit OK to close the window. We will now turn on TCP/IP to allow computers to connect with SQL Server through IP. Similarly, we will also enable Named Pipes to allow computers to connect to SQL Server via the server name. The last thing that we will do is to verify the account for SQL Server Agent Service. Select SQL Server Services from the SQL Server Configuration Manager. Right click on the SQL Server and select properties. SQL Server (ACCSQL) Properties window will now display. Select the tab called Log On at the top of the window. 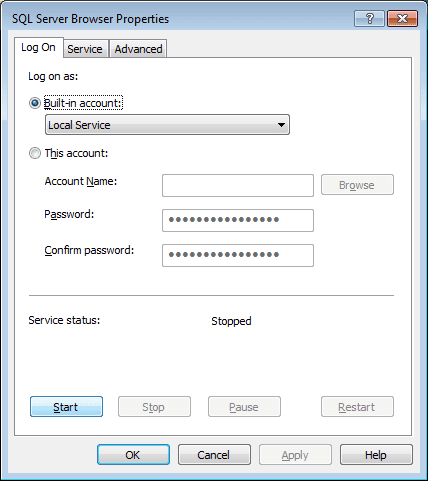 You can now select the “Log on as:” service. The following information will explain the setting in the selection. Our configuration is now complete. We will now need to restart the SQL Server service. 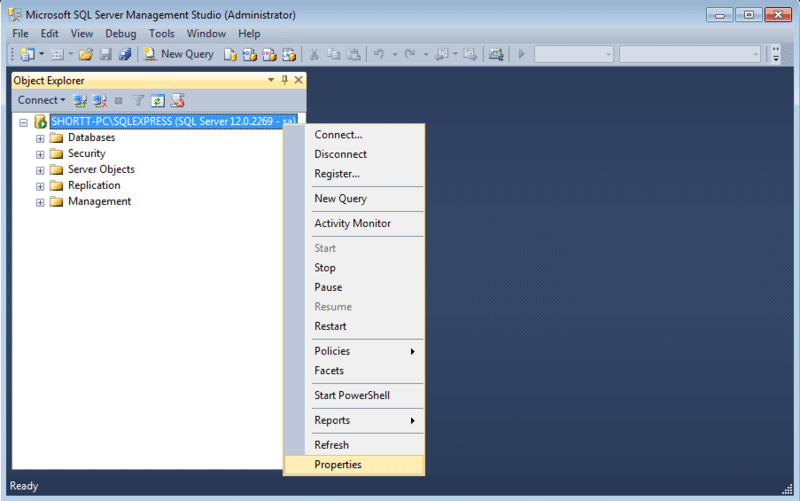 Right click the SQL Server from the SQL Server Service on the SQL Server Configuration Manager. Select Restart. 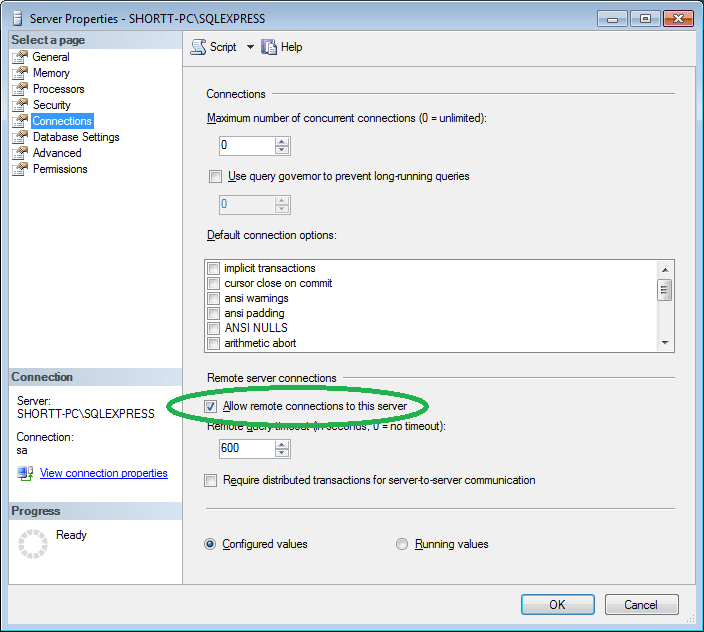 The process of sharing a database and tables is easily accomplished with SQL Server Express. See the above in action with the YouTube video below.